Zero calories bookish treats anyone? Boundless Bookbindery brings a delicious selection of beautiful hand-bound books onto your shelf. 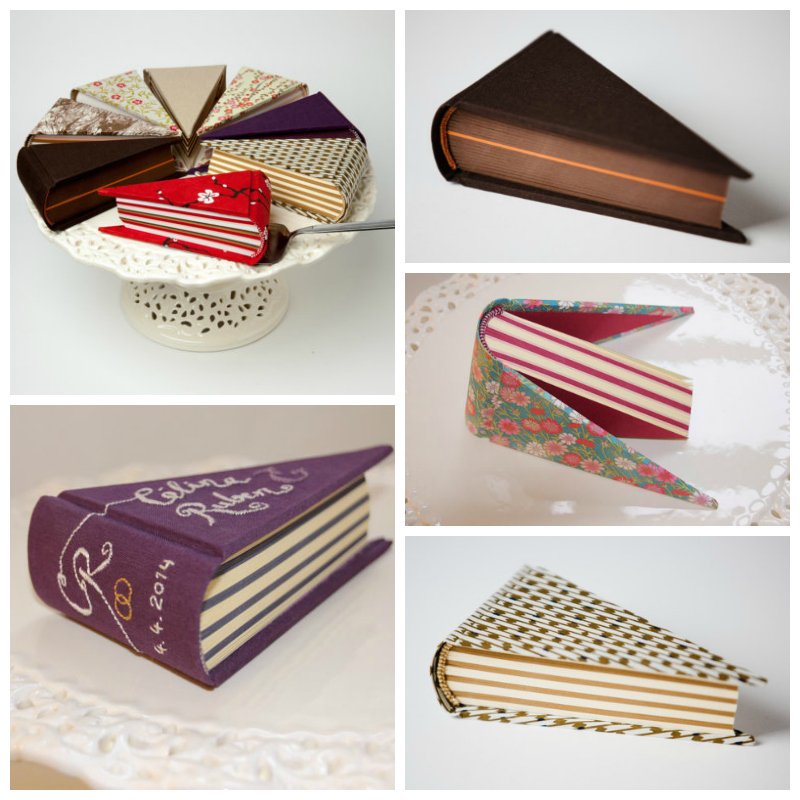 These cake-shaped triangular books are inspired by Viennese (and other) delicacies catering to the taste of every notebook loving gourmet. Yummy indeed! Personally I like the idea of these cake-slice-shaped books, especially for special occasions, eg everyone leaving a message inside at a wedding would be a lovely idea.